The ministry is responsible for the policies, legislation, regulations and services necessary for Alberta’s agriculture, food and forest sectors to grow, prosper and diversify. The Forestry Division of the ministry developed strategies for the expansion of Alberta’s primary wood product manufacturing sector and the improvement of the economic contribution of Alberta’s advanced/secondary wood products manufacturing sector. Apri Insurance Inc. is BC Wood’s authorized insurance partner, specializing in designing and implementing Employee Group Benefit, Retirement Programs, and other individual insurance products for member companies of BC Wood. Reputation and credibility are key to business success. AWMAC BC continuously strives to strengthen industry standards and improve the quality of workmanship. In partnership with members throughout British Columbia and Canada, we have achieved international recognition as industry leaders. AWMAC BC supports a growing membership while setting the bar for our industry through commitment to the following mission statement. Our mission: AWMAC BC, an acknowledged leader in the architectural woodwork industry, upholds the highest standards of education, workmanship, and business practices. 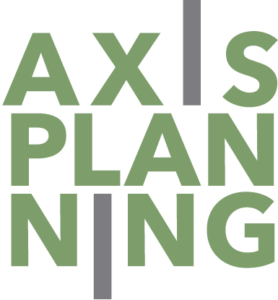 Axis Planning Inc., is an Export & Import Trading Company based in Vancouver, Canada. With many years of experience in international markets (North America and Asia Pacific Region) we are more than simply a Trading Company, but also offer Business Consulting services for product marketing and sales. Providing personal service to a finite group of clients and their families. BFL CANADA INSURANCE SERVICES INC.
BFL CANADA is the largest privately owned commercial insurance brokerage and risk management services firm in Canada. We specialize in providing sound risk management advice and offer responsive and proactive insurance brokerage services to those companies in the value-added wood products sector. Blackcomb Glass Ltd. is a specialty glazing systems contractor. We specialize in high performance curtainwall systems in high end residential as well as complex commercial projects. Blackomb Glass is the exclusive partner with RAICO curtainwall systems for BC, Alberta, Washington, Oregon and Northern California. RAICO offer the THERM+ timber curtainwall system which is passive house certified. The CSSB is a non-profit trade association representing manufacturers, distributors, installers and other business members involved in the production and promotion of the Certi-label® brand of Western Red and Alaskan Yellow cedar shakes and shingles throughout North America and Europe. CAWP at UBC is Canada’s national centre for education, technology transfer and research in advanced wood products manufacturing. CAWP provides training and product development services programs for the industry, supports an undergraduate degree program in Wood Products Processing and provides coop students for industry placements. Coast Fraser specializes in exporting North American wood products around the world. We proudly provide quality wood products to our Middle Eastern, Chinese, Indian, and South-East Asian customers. We promote a variety of lumber, including Spruce-Pine-Fir, Hemlock Fir, Douglas Fir and Southern Yellow Pine using new and innovative strategies. Schenker of Canada is one of the largest integrated logistics service providers in the country. With a global network as well as being the local leader in ocean freight for Canada; our global reach and market strength is your key to international trade.We can combine and offer options including customs, storage of goods; shipment by land, sea, or air; and our specialists integrate service modules to create complex added-value chains that ensure a reliable flow of materials and information. Griff Building Supplies has been serving the building and construction industry in Vancouver, the Lower Mainland and beyond for over 45 years. Started by James Clark Griffiths (known as “Griff”) in 1964, the business quickly established an excellent reputation as a one-stop shop for building supplies. Today James Griffiths’s daughter, Deborah White, owns and runs the family business and remains as involved and committed as her father once was. More recently, Griff has joined with the Irly Group of building companies in order to offer you an even wider variety of products. At Griff Building Supplies, the services and products we offer have been put in place to assist everyone from the multi-family contractor to the do-it-yourselfer. Located in the Queensborough area of New Westminster, our 6.5 acres of stock and 20,000 square foot retail warehouse give you the choice you require and the quality you demand. Largest Containerline in Canada. #1 Port Metro Vancouver, #1 Port of Montreal, #1 Port of Halifax. Largest customer of Deltaport, Fraser Surrey Docks and CP Rail. Most export destinations worldwide offered ex. Vancouver to any Containerline. We accept bookings via Freight Forwarders or direct from Lumber Shippers. Full service office. Our ships call weekly and sail to Japan, China, the rest of South East Asia and India Subcontinent. Middle East, Australia/New Zealand, Central/South America both coasts, Caribbean, Europe, Mediterranean, Africa. Also offering expedited rail service for loading on our ships ex. Montreal to Europe/Med. Give us a call! 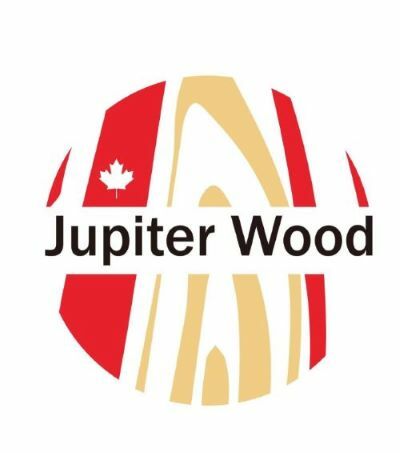 Jupiter Wood (North America) LTD.
Jupiter Wood, located in Vancouver, British Columbia, has been in the wood products industry for 10 years. We have wood processing and distribution operations in North America, China, South Korea, Japan and Southeast Asia, where we have established long-term cooperative relationships with both suppliers and buyers. HSBC is one of the world’s leading trade services organizations providing expertise worldwide and delivering innovative international trade financing solutions through an unrivalled global network. 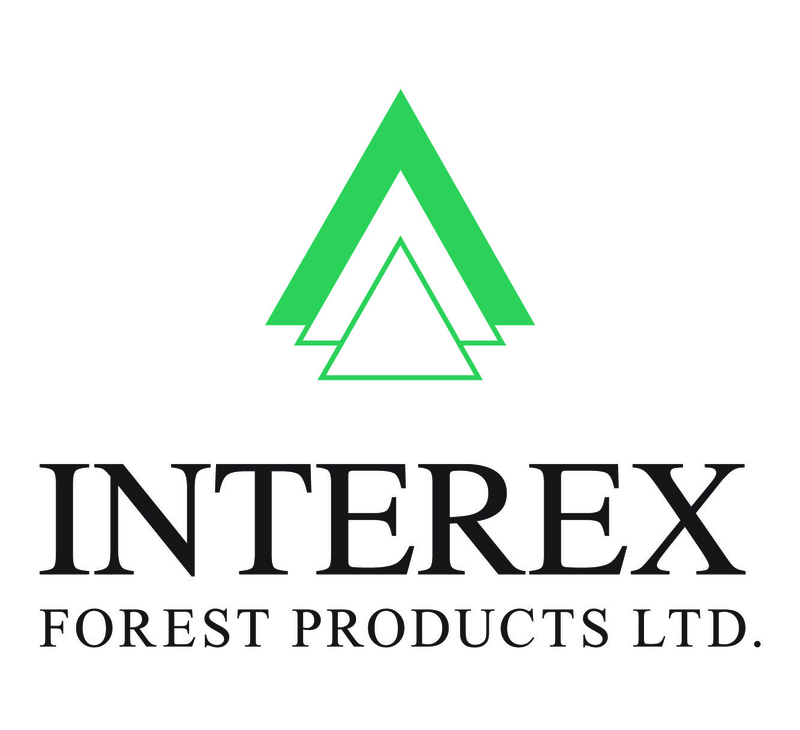 Located in Beautiful British Columbia, Canada, Interpro Export Group is the corporate headquarters and flagship company of the Interpro Group and is one of the leading North American exporters of softwood, hardwood, and panel products. Kintetsu World Express (Canada) Inc.
KWE provide the best logistics solutions for each customer’s needs. -3PL & 4PL Services with both single and Multi vendor facilities owned and operated by KWE Canada. KP Wood Ltd. was established in 1987 and services the North American, Asian and European markets. We offer a full range of softwood products focusing on Spruce, Pine and SPF lumber including dimension lumber, boards, lamina, finger jointed &/or edge glued products &/or laminated products, profiled stock as well as genban and metric home components. We also provide plywood, lumber core (blockboard) and softwood pellets. Special sizes possible. Our experienced sales, marketing and logistics team can quote to your final destination for both domestic and export markets. Call or e-mail for more information. KPMG Enterprise™ professionals are devoted exclusively to helping Canadian business owners and entrepreneurs build value in their business and grow thriving enterprises. Whether it be Canadian, US or abroad, service areas include Assurance, Tax and Advisory. Kuehne + Nagel has grown into one of the world’s leading logistics providers. Today, the Kuehne + Nagel Group has more than 1000 offices in over 100 countries, with over 63,000 employees. Our key business activities and market position are built on the company’s truly world class capabilities. Kuehne + Nagel is financially strong, stable and independent. Our global logistics network, cutting-edge IT systems, in-house expertise and excellent customer service is proof of our dedication to be the market leader. These attributes have placed us at the forefront of our industry, and positioned us to continue increasing the scope of our customer solutions and services. At MNP, we believe in being your partner in business. Our Forestry and Forest Products team understands your business and speaks the language of the industry. That’s why more than 500 clients from all sectors of the forest industry across B.C. rely on MNP as a trusted partner for industry-specific expertise and strategic business advice. To find how MNP can help you, visit MNP.ca/forestry. Natural Trade Ltd. is a Canadian company based in Vancouver that specializes in wholesale, trading and exporting of Softwood, Hardwood lumber and Panels. Our supply of more than +100 mills in North America, offers a great variety of products to our customers in different markets like: Mexico, Asia, Latin America and the Caribbean. Natural Trade exports and distributes lumber that is used in various commercial and industrial applications.We specialize in Softwood Lumber (SPF – Spruce, Douglas Fir, Hemlock, Yellow Pine, Ponderosa Pine and other species). We also distribute hardwoods such as Red Oak, Maple, Poplar, etc, as well as oriented strand board (OSB), MDF and Plywood. We are the North American Wholesale Lumber Association. Our members are dedicated to growing and nurturing every aspect of the lumber industry, from the careful stewardship of forest resources, to the harvesting and distribution of lumber products, to championing wood’s role in a greener economy and a healthier planet. Since our founding in 1893, NAWLA has been at the very heart of the industry– longer than any other lumber organization in America. We represent the best interests of wholesalers, manufacturers, and service provider companies from the planting of seedlings, to the selling of building materials and wood in all of its many forms. For over 100 years, we have been a uniting bond – from one end of the supply chain to the other. Helping the industry grow by helping our members grow. That is why, our members consider us…The Essential Link. We are exporters of high-quality machine manufactured log house kits, currently selling to Japan. We use only solid natural wood for logs, with a thickness of 140mm or more. We can also supply all the building materials required for a full house package. These homes provide a healthy, comfortable, warm environment, combined with the safety needed in the event of an earthquake. Please contact us and we can work together to build your custom log home. Pacific Pallet is the largest manufacturer of wooden pallets in British Columbia. Located in the Fraser Valley and serving customers through out Canada. For more than 90 years, PPG has been the preeminent coatings supplier across a wide range of industries. For homeowners, builders, architects and lumber retailers—machine-applied coatings by PPG create significant advantages over coatings applied in the field. Our team works alongside machine applicators to generate consistent film builds, color performance and long-term durability to ensure each project receives beautiful and long-lasting protection. Rejoice Logistics (Canada) Inc is located in the beautiful pacific gateway- Vancouver. This is a dynamic, fast-growing logistics company with its service network covering the entire Canada and all over the world. We are dedicated to providing our customer with superior one stop service including Freight Forwarding, warehousing, brokerage, global logistics and supply chain solutions. Our Golden Customer services team will allow you to experience the best logistics undertaking, and every business you entrust us with will become a pleasant experience for you. Since 1986, we’ve been focused on creating the best performing, most beautiful water-borne wood finishes in the world. Backed by over thirty years of proven performance with commercial, residential and mass timber wood buildings and structures, Sansin is the global leader in developing high-performance industrial and factory finishes that set the benchmark for environmentally friendly formulas. With a growing network of OEMs and dealers across Canada, the United States, Western Europe and Russia, Sansin Wood Finishes are the choice for customers who demand the absolute best in performance and beauty for their homes and buildings. “Flat Line” texturing & finishing factory. Wire brushing, sanding, buffing, staining, & finishing flat profiled linear wood elements. Primarily used in Interior applications for Floors, Walls, Ceilings features, & acoustic panels for example. We do color development and occasional ‘matching’ of colors as appropriate. We work with Air cured, or ‘Oxydative’ finish’s as well as, Ultraviolet cured finishes where appropriate for high durability. We do Custom finishing as well as finished goods supply where required or appropriate. We customize Gloss / Sheen as necessary depending on application. Yancoal Canada Resources Co., Ltd.
Yancoal Canada Vancouver Branch focus on the trading and exportation of logs and lumbers to China.